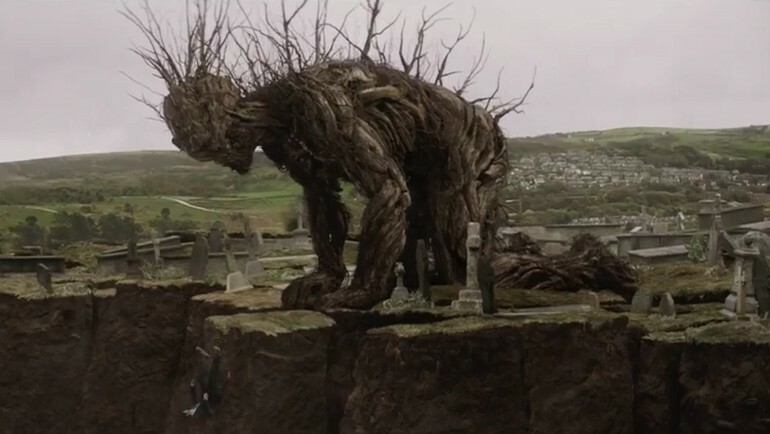 At the risk of making light of death, watching A Monster Calls felt like watching a hundred-minute inside joke that wasn’t funny in the least. First, there’s the book, an unfinished work written by first Siobhan Dowd and later Patrick Ness, following Dowd’s death. I haven’t read it, it doesn’t mean anything to me, and so I have no basis for emotion, not even enough to empathize with the fact that Dowd herself was dying of cancer as she wrote the story, adding extra meaning to its plot. Secondly, Sigourney Weaver. Watching the film at home, I still felt the urge to look around me, to see if there was a prank being played that I was unaware of. How anyone in their right cinematic mind could take her or her ridiculously, embarrassingly, utterly awful fake accent seriously is beyond me, and I would say she single-handedly ruined the movie, but that would be unfair, since there is so much else to lay the blame on, so much else that went terribly wrong. Conor’s mum is sick, with no real chance of getting better. Sure the doctors try, sure the family tries to stay positive, but basically she’s dead already, it’s just a matter of time before the burial. 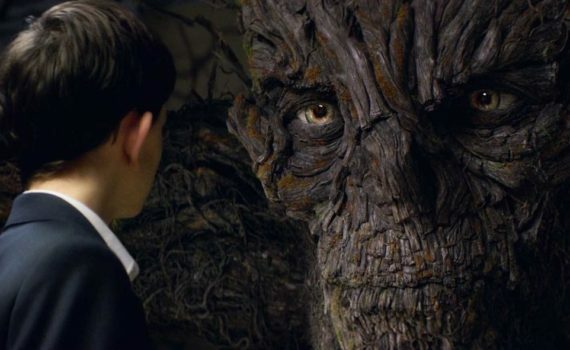 As could be expected from a young boy, Conor has trouble dealing with this fact, from outright denial to fights at school, from artistic outlets to imagining that a giant tree wakes up, comes crashing through the living room, and tells him stories with morals that apply to his own life. The last is obviously the weirdest, but as Conor copes, the tree becomes his only friend. 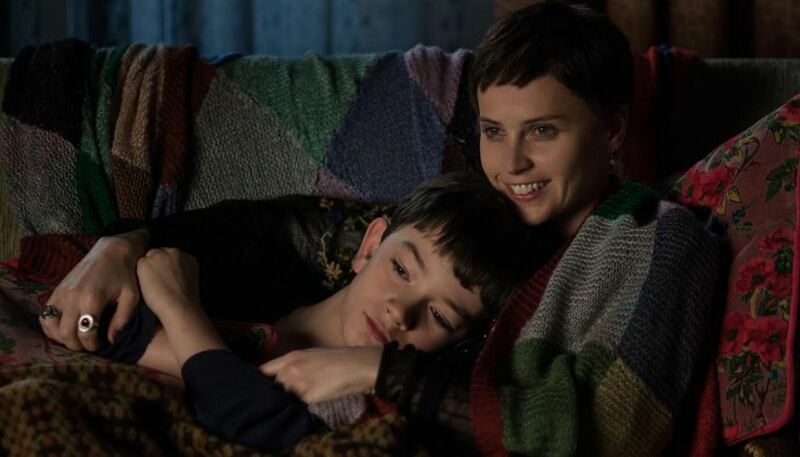 The yew wood is supposedly magic, and Conor begins to believe that his mother might actually get well, that they might actually have more time to spend together. But as she remains sick and his anger comes to a head, the support of the tree will be all the more necessary, and Conor will have to finally learn to let go. I admit that there must exist a disconnect since I have no opinion about the book and had literally never heard of it before the movie came out. And I find that odd; I read, I read a lot, and I have kids, who I read to a lot. I guess I just never came across this one, and so I can’t love it the way some can, and that has to be taken into consideration when reading this review. Having no base, I found this simply to be a sad story, a heartfelt story, a good way to channel grief, but not much else. I wasn’t impressed by the emotion, I wasn’t impressed by the characters, I wasn’t impressed by the enormity of the tree or its ability to help the boy through the darkest part of his life. Basically, I didn’t care very much, and so was bored rather than concerned, annoyed a bit rather than searching my heart for empathy and understanding. But that’s a me problem, perhaps you loved the book, perhaps you’ll love this story. I just can’t get past the second big problem I had with the film, can’t accept that others weren’t noticing the same thing that I was, and that was Weaver’s complete failure to, I don’t know, be an actress. She’s so untalented and unappealing that it hurts me to watch her, and I can’t understand how any director would cast her in something other than an Alien franchise film. And then there’s her accent, which was just shocking. I felt embarrassed for her like I would feel embarrassed for myself if I was standing in front of a person from Liverpool doing (and failing) a Liverpool voice. She crashed and burned, I don’t understand how it can be seen otherwise, and what’s more insane is that she’s basically the female lead in this film. Even Liam Neeson gets only a small role really, as does Felicity Jones, who I’m losing all faith in, while the boy dominates the screen with an underwhelming performance that will do him no service. Then there’s the total misplay of the music and pace, creating a bumpy ride of unexpected moments that never felt like one film. Without the book, without the special effects, if you judged this movie solely by its execution, it may very well be the most disappointingly bad feature of the entire year.